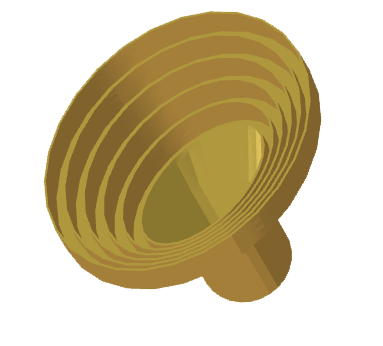 Image of the Elliptical axial-choke horn antenna. The Axial-choke elliptical horn is a variation of the Axial-choke conical horn also available in Antenna Magus. 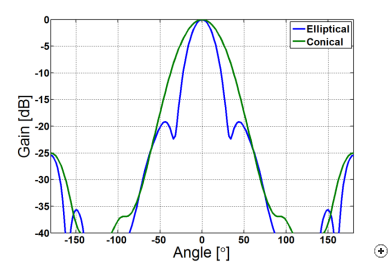 Radiation pattern at the centre frequency for a circularly- and an elliptically-shaped aperture. 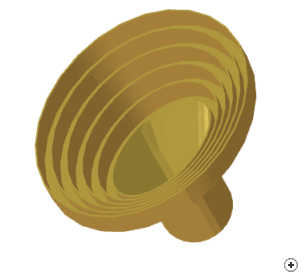 By using elliptically shaped chokes, a directive, elliptically shaped radiation pattern (typically used as a feed for offset or truncated reflectors that require a non-symmetrical radiation pattern) can be achieved. 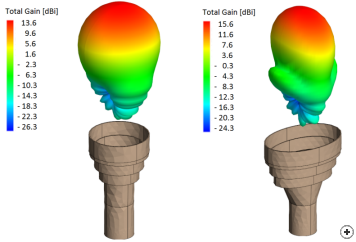 Antenna Magus allows the horn to be designed for a shaped radiation pattern (-3 or -10 dB E- and H-plane beamwidths specified) or a shaped radiation pattern with a peak gain level. In the figures below, the radiation pattern of an elliptical axial-choked horn designed to have -10 dB E- and H-plane beamwidths of 80° and 50° respectively are compared to those of a circular horn with equal -10 dB E- and H-plane beamwidths of 80°. 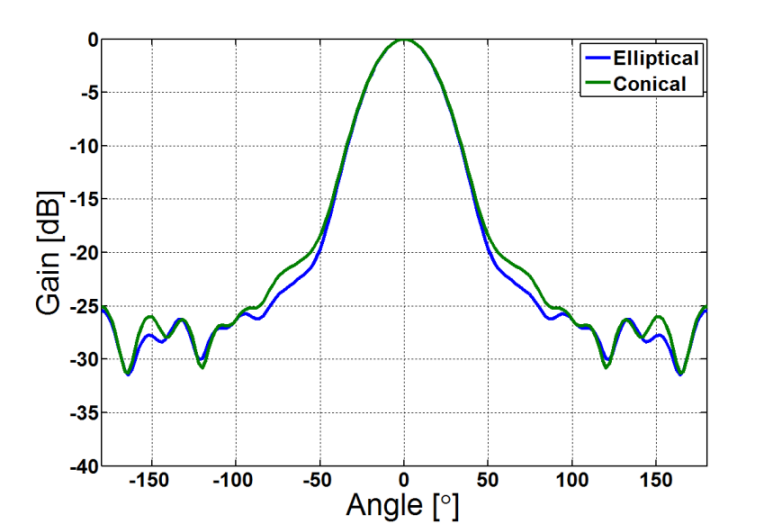 Normalised radiation pattern cuts at the centre frequency in the E-plane. 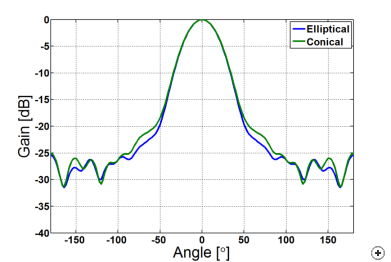 Normalised radiation pattern cuts at the centre frequency in the H-plane.